Includes figures and accessories for hours of fun! 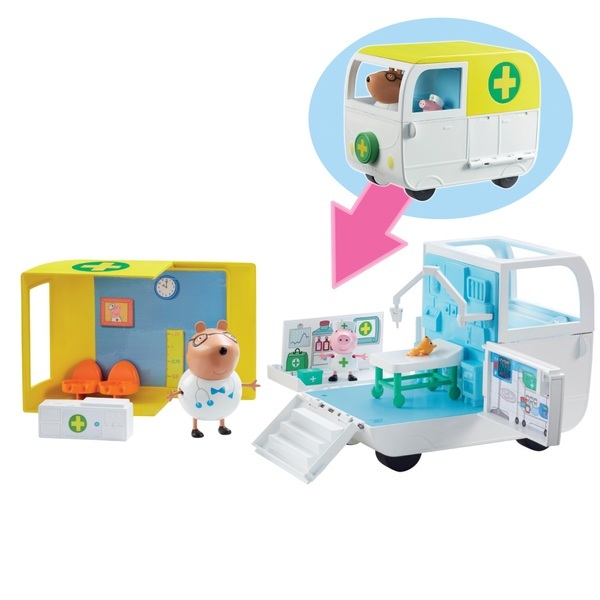 Create your own Peppa Pig adventures with the Mobile Medical Centre. This push along ambulance opens up to reveal a full medical centre inside! Lift the roof off to see a waiting room with seats and a reception desk. Open the sides and there’s an operating theatre, with x-ray machine and a gurney bed! Includes Peppa Pig, Teddy, and exclusive Dr. Brown Bear figure. Styles and colours may vary. For ages 3 years and over.